Click on the available date below to book ! You love a good craft beer? You are looking for a cool and fun way to get ready before a bachelor party? Or you just want to experience tastiness, be a little tipsy while spending an afternoon with your friends? Starting from 10 and up to 25 people, we offer 2 awesome private guided tours. With 9 samplers of tasty craft beer and snacks each, your afternoon will make you feel real hoppy. 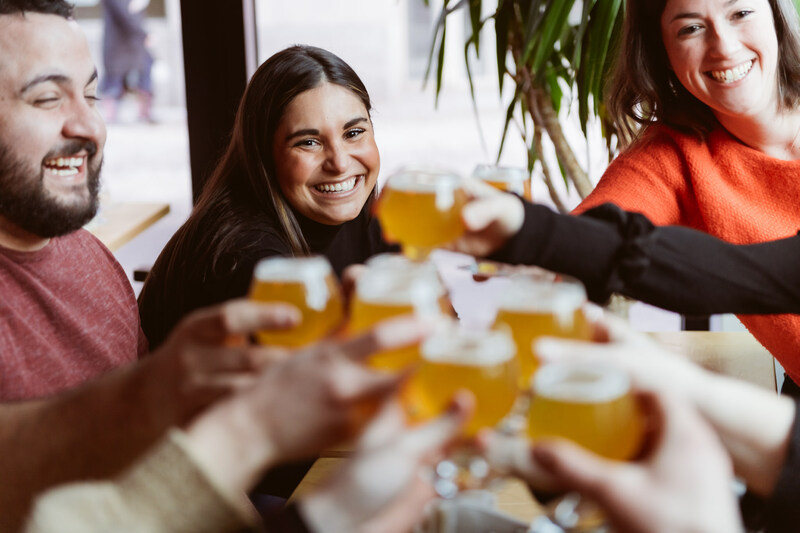 Meet your local guide at the Bistro Brasserie les Soeurs Grises and start quenching your thirst with 3 beer samplers and the best Quebec cheeses. Next, stroll north the 3 Brasseurs. 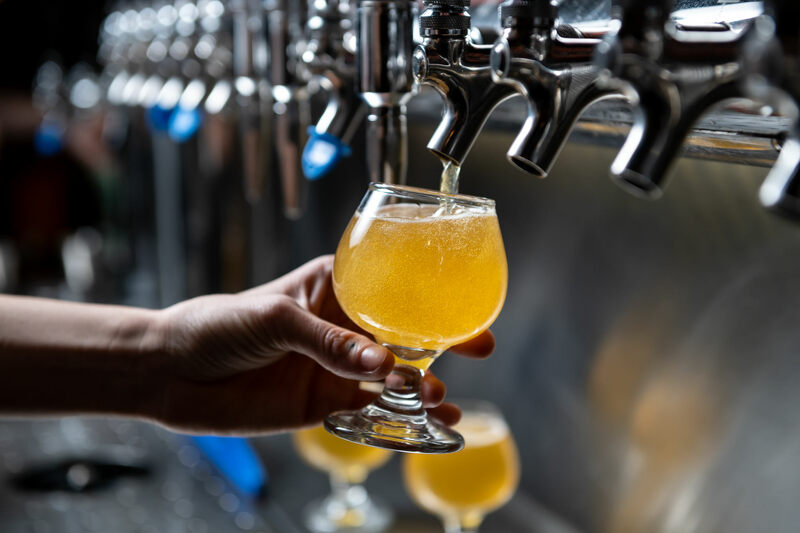 This famous location invites you to discover the brewing facilities while your guide teaches you the basics of the brewing process. Got the munchies? A hot pretzel comes with your 3 signature beers. 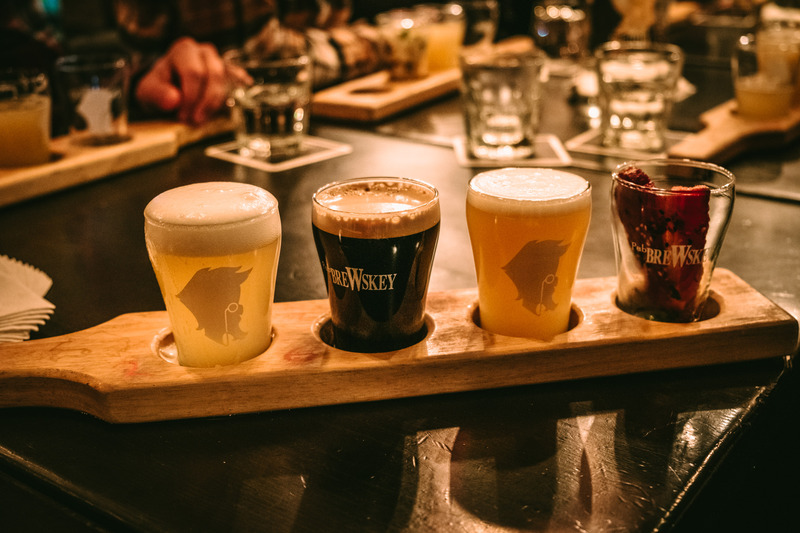 The final stop is BreWskey Brasserie Artisanale, a brand new brewing spot paradise to enjoy your 3 last beer samplers with a homemade party mix. 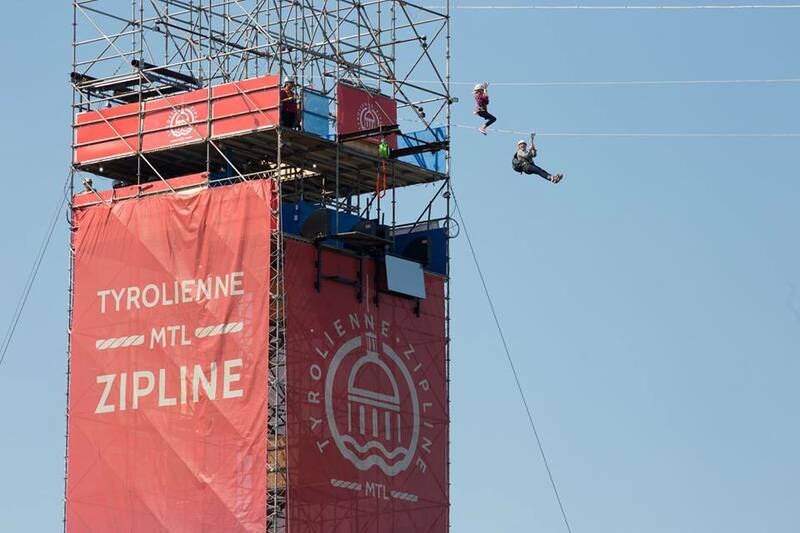 Everyone in your party gets 6 samplers of craft beer, snacks and the adrenaline from the 1200 feet Montreal Old Port Zipline! 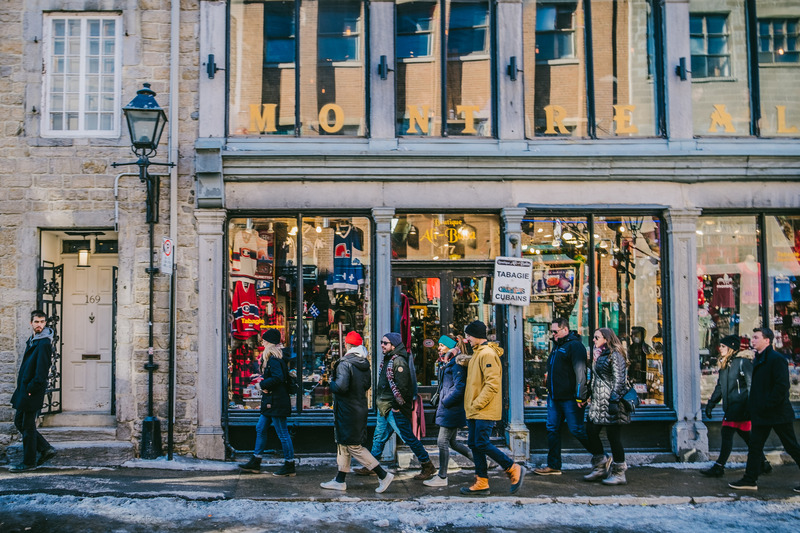 Meet your local guide at the Bistro Brasserie les Soeurs Grises and start quenching your thirst with 3 beer samplers and the best Quebec cheeses. Later comes the time to get out of your comfort zone while flying over the famous Bonsecours island and enjoy an unmatched view of Montreal’s Old Port with THE Zipline. The final stop is Les 3 Brasseurs. Share all the funny pictures you took of your friends going down the zipline while you will savor your last 3 beer samplers. 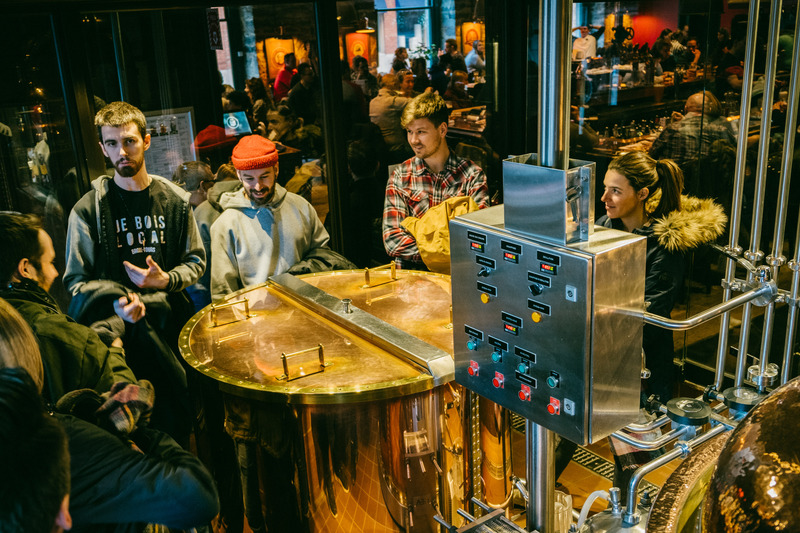 Why not take a look at the brewing facilities while your guide explains the basics of the brewing process ?